Join in the celebrations as the Mansion House marks its 300th anniversary! 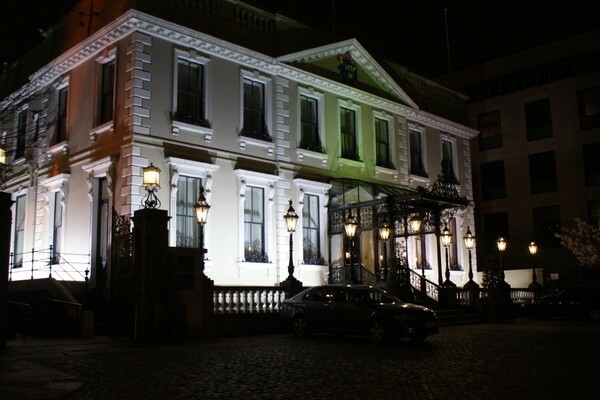 Dublin City Council will open the doors of the Mansion House to the public this Friday at 7.30pm, to celebrate it’s service as the official residence of the Lord Mayor of Dublin since 1715. The Mansion House was sold to Dublin Corporation (now Dublin City Council) in 1715 for £3,500, which equates to no more than €50,000 today. On top of this, the Corporation owed an annual rent of 40 shillings, two fat chickens and six pound loaf of double refined sugar, to be paid at Christmas. As part of the sale, it was stipulated that a room must be built for civic events, and so the Oak Room came into being. To celebrate this, the Oak Room will see current Lord Mayor Christy Burke blowing out the candles on the House’s 300th anniversary cake. In attendance will be former Lord Mayors, Lady Mayoresses, and former house staff, including City Archivist, Dr. Mary Clarke. All are welcome to attend, and you can confirm your attendance by sending an email to info@dublincity.ie.